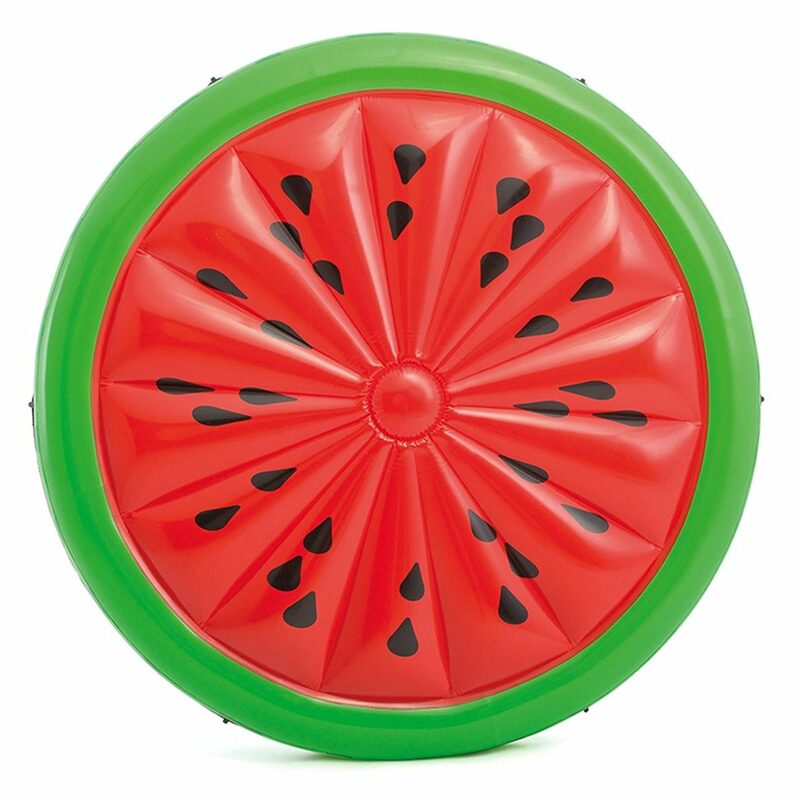 Nothing says the unofficial start of summer like blowing up a giant inflatable watermelon pool float and jumping right into the cool water on a scorching summer day. Afternoons lounging by the pool and family BBQs under the sun are the perfect ways to spend your summer and holiday weekends. 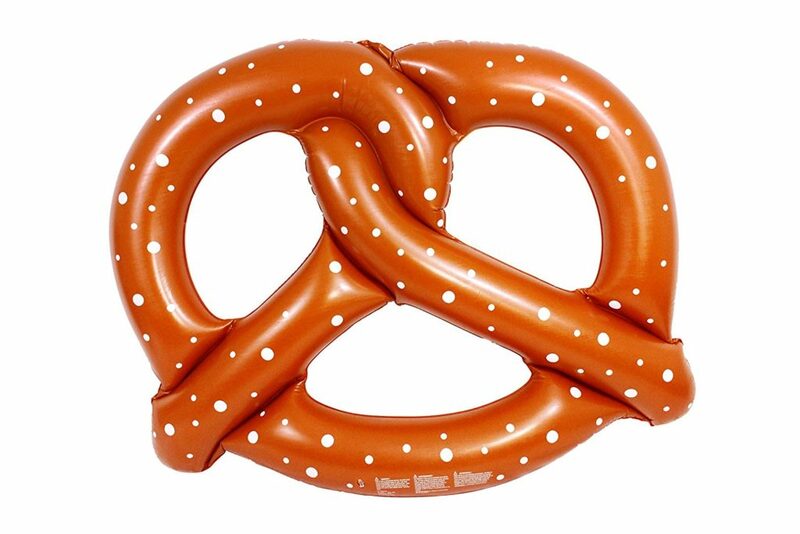 To add some fun to your water-filled adventures, we’ve gone ahead and found some of our favorite food-themed inflatable pool floats that we love, just for you. 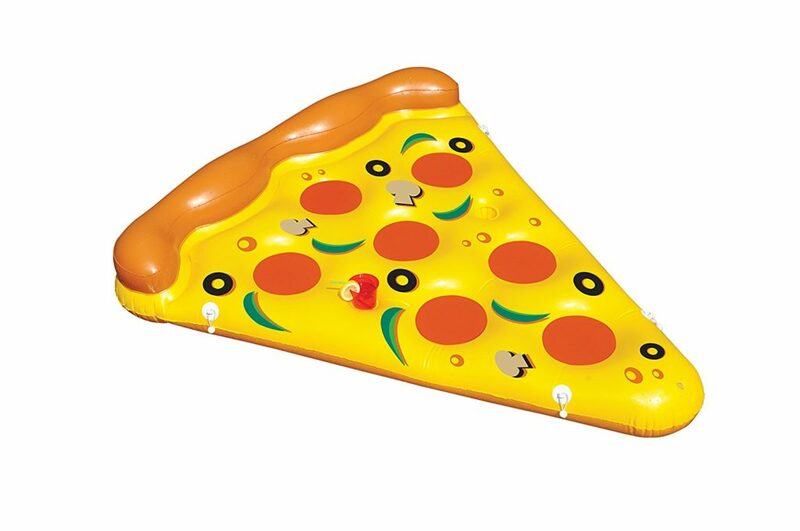 I remember when I first bought my pizza slice pool float and now I can’t seem to go to the lake without it. These floats are so appetizing, you’re going to want to eat them! Auntie Anne’s pretzels have nothing on this salted dream of a float. 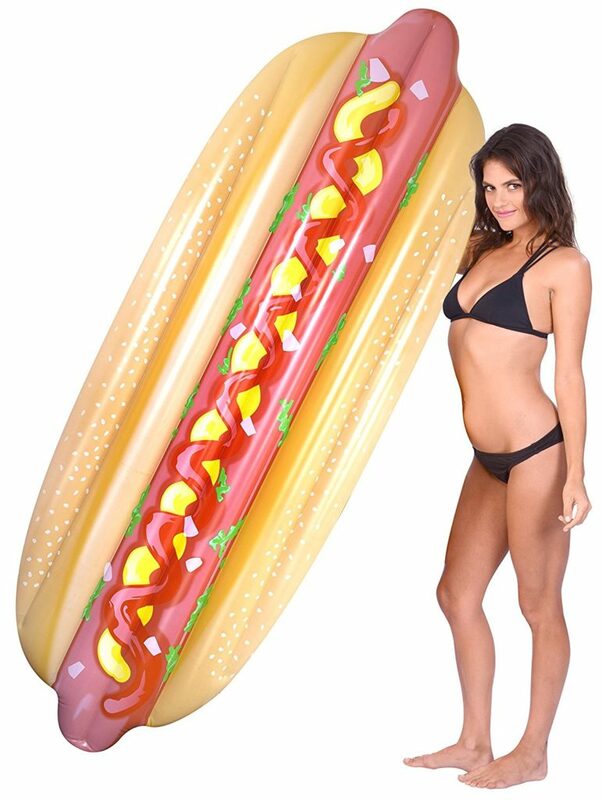 Get tangled up in this inflatable pool toy for just $11.39. There’s nothing like the sweet and refreshing taste of water on hot summer day. The same goes for the float version, too! Relax out on this float for just $23.00. Unlike the smaller watermelon slice versions, this round watermelon float means you can share or it could just mean more room for you! 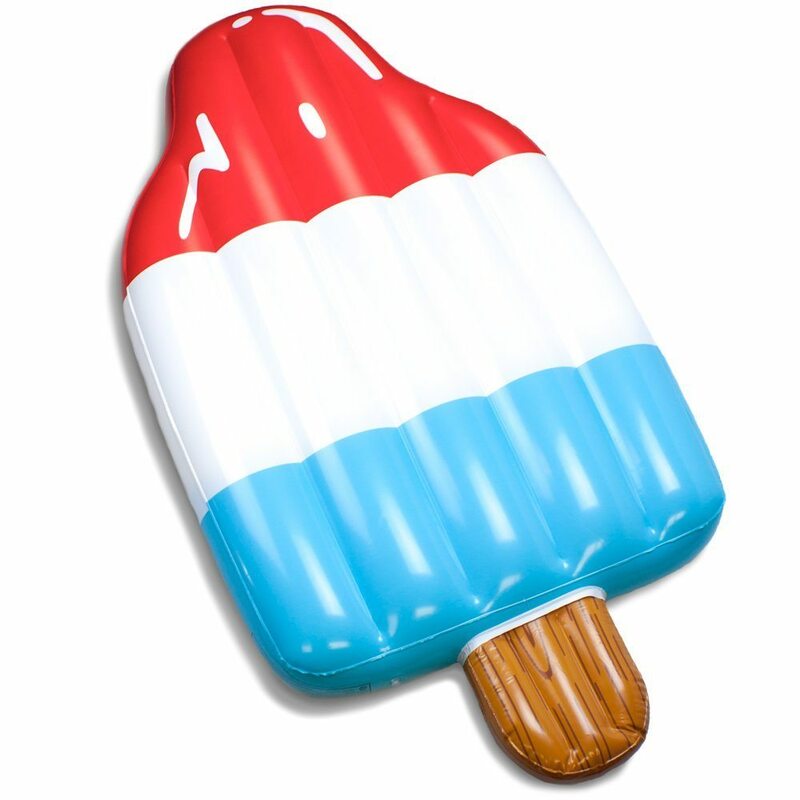 This pool float will leave you with the biggest sweet tooth. 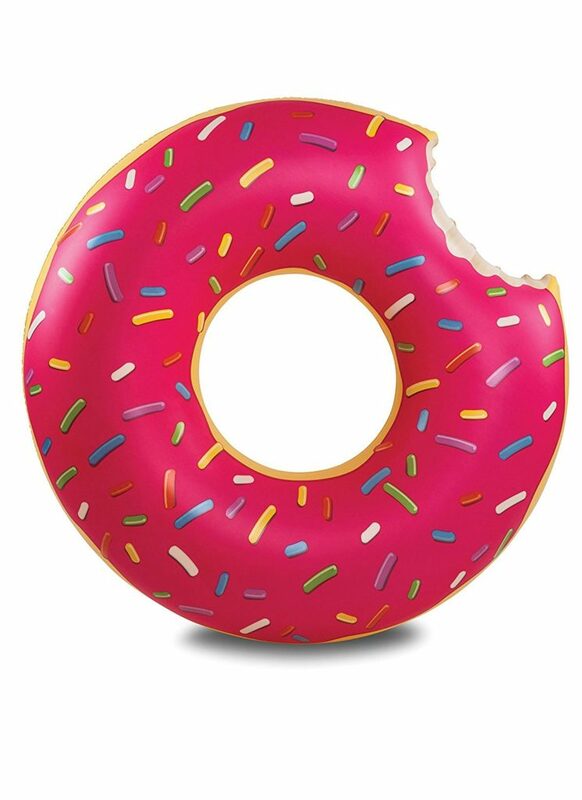 This sprinkled donut is a fun twist on the average float and it’s only $19.99. 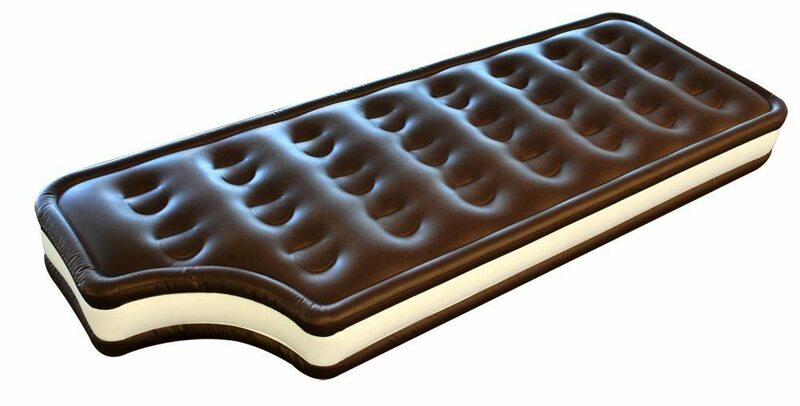 I never knew how much I missed ice cream sandwiches until I saw this float. This chocolate dream is going to float you into chocolate heaven and it’s only $29.99. Okay avocado lovers, this one is for you. Here is one way to up your avocado obsession. 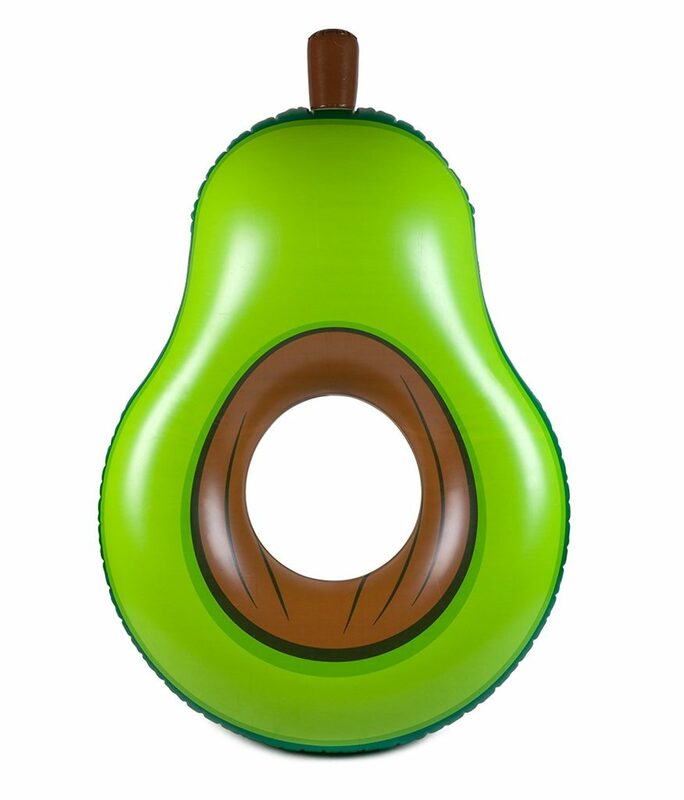 Be one with the avocado in this float for just $24.99. Who lives in a pineapple under the sea? You do, sort of! 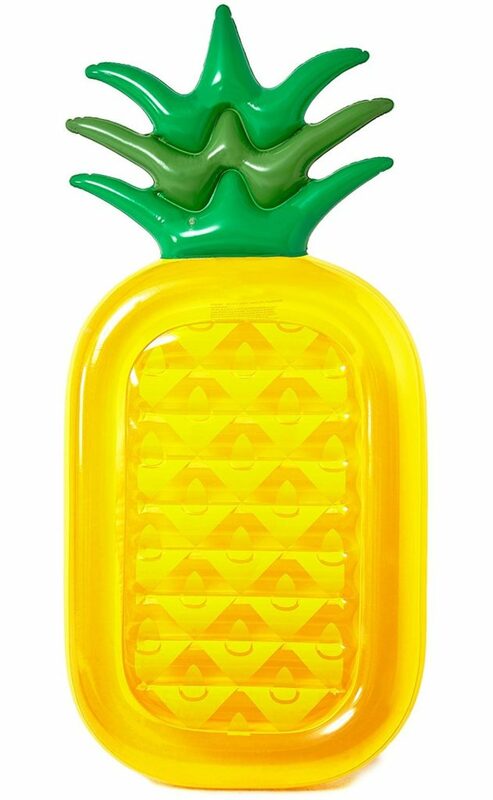 Float at the beach with this fun inflatable pineapple float for just $28.99. The only disadvantage of this float is that it leaves me wanting pizza when I am done using it. But is that really a disadvantage? Get this yummy float for just $29.50. I’ll drink to this. This margarita float is the float of all floats. Seeing as though your’e probably going to enjoy plenty of these frozen drinks this summer, why not float in one too? 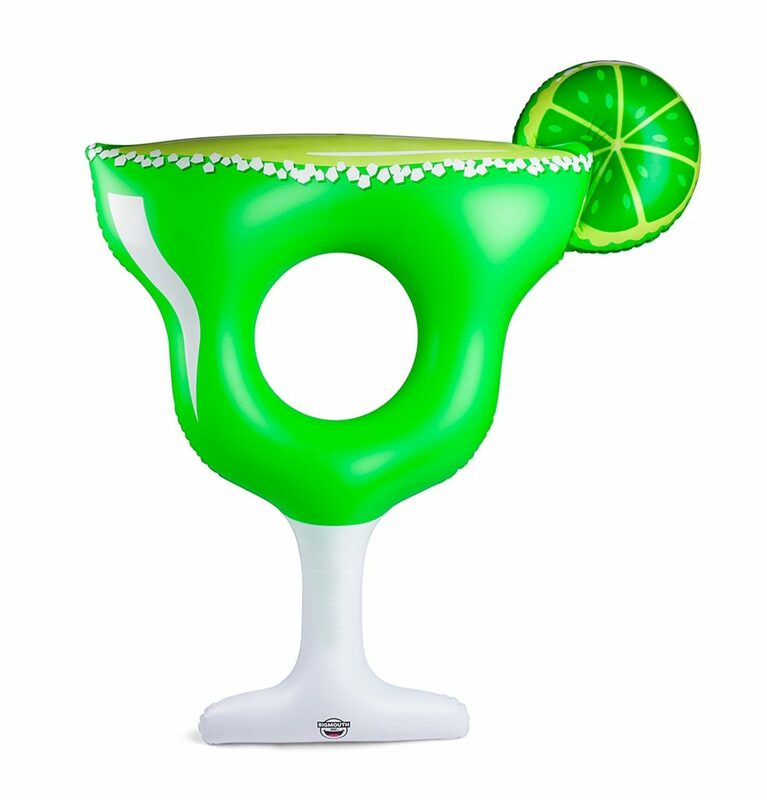 Get this rita float for just $24.99. 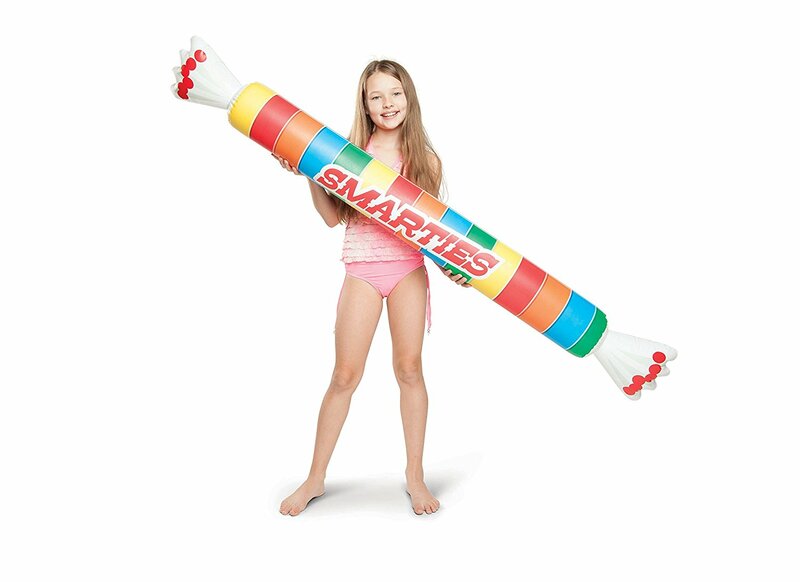 This Smarties float is reminiscent of the old school foam pool noodles, but better because who doesn’t love Smarties?! It can be yours for only $16.99 and is a great choice for smaller pools. This tri-colored pool float is Americana on the water. Measuring in at 5-feet wide, you’ll float serenely all day for only $19.99. Declare your love for cabernet sauvignon on the lake with this wine bottle pool float that’s the perfect shape for lounging around all day for only $29.95. Every day is Taco Tuesday with this 6.5-foot raft that’ll have you craving some serious Tex-Mex after a long day on the water for only $24.95. 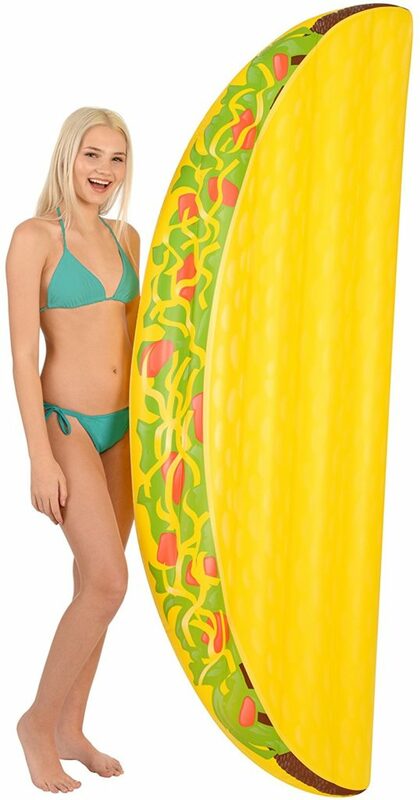 Get your ballpark frank on with this hot dog pool float complete with all the best toppings, including faux ketchup and mustard for $29.95. 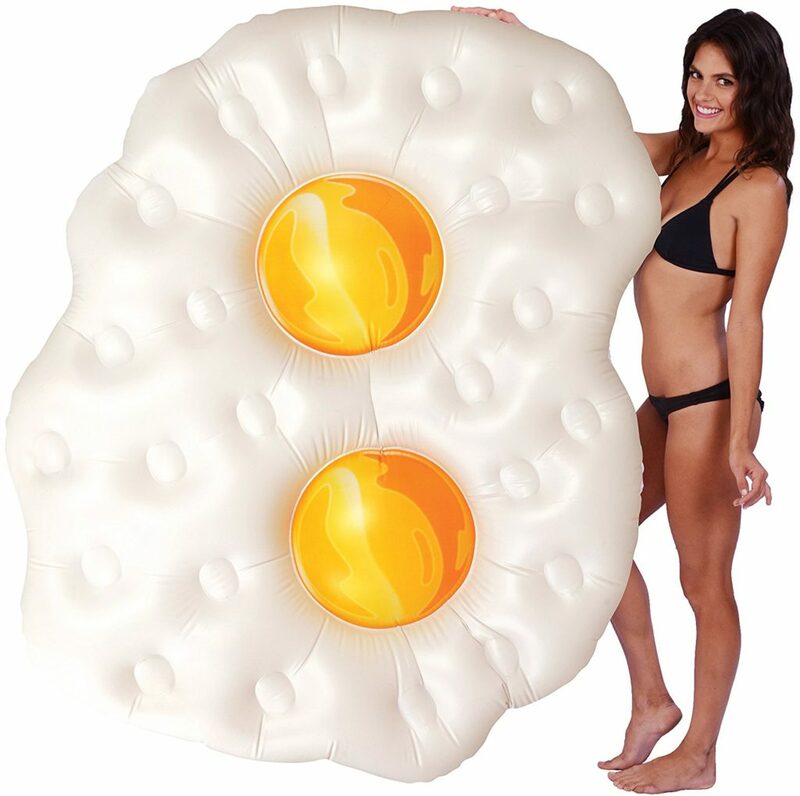 This double yolk pool float is perfect for sharing or going it alone under the sun for just $24.95. 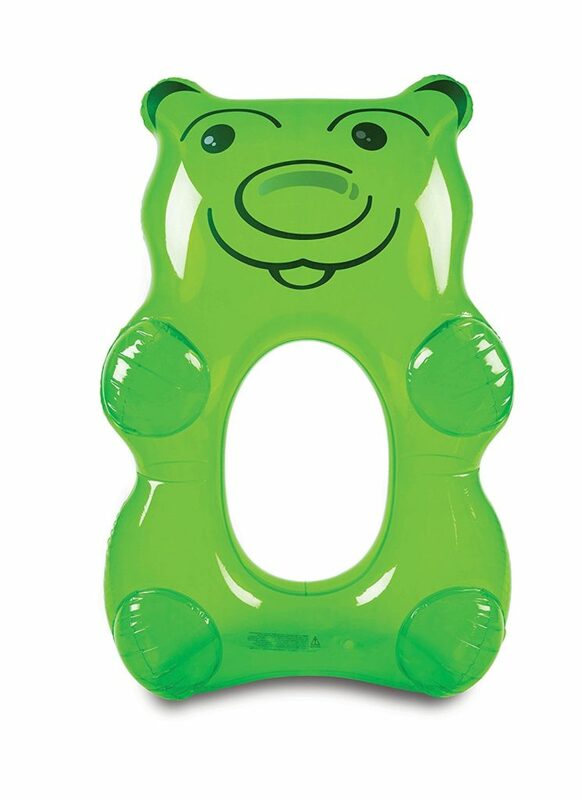 This giant green gummy bear pool float is the best because if you ride in it like a tube, you can lean back onto its belly for extra support. Most tubes don’t offer that extra backrest so have your gummy bear and maybe don’t eat it, too, for $24.99. These floats are super fun and will be the life of any pool party. Invite over the gang for a good swim and some cute Instagram-worthy photos. Your summer is bound to be packed with many pool days with these awesome water accessories.